A rodent-infested children’s centre which blamed a “technical” issue for its zero star hygiene rating has been exposed by a weekly newspaper’s Freedom of Information request. The Wimbledon Guardian smelt a rat after the ironically-named Eddie Catz children’s play centre went from a five-star to a zero-star rating on the Food Standards Agency’s website. At the time, the owners told the newspaper to “get your facts straight” and put the matter down to “a technical in issue in the kitchen”. But an FoI request submitted by the paper to Merton Council has revealed that the technicality in question was in fact an infestation of mice. A council report stated inspectors found a large scale infestation of mice which could have led to a serious risk or imminent risk to health when they visited on 16 November last year. Becky Middleton, Wimbledon Guardian news editor, said: “When the centre told us ‘technical reasons’ we smelt a rat. It turned out to be mice. Mr Johnson told the paper that pest controllers who had been in regularly to check for rodents and had found no traces since. 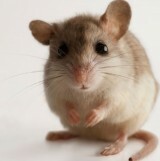 His wife Maria Johnson said the mice were a London-wide issue caused by global warming and milder winters. Crumbs, but while the cat’s away I suppose, hope the reporter gets a pat on the back from the big cheese. Please can I just make a comment that Eddie Catz is NOT a children’s centre!! It is an indoor soft play facility. Please note there is a big difference between the two!